Things can get a little hectic during the holidays. Here are a few safety tips you should consider before the festivities begin. With holidays, comes a lot of cooking. When all stoves and ovens are on, accidents can happen which is why it is important to install smoke alarms. One of the best places to keep your smoke alarm is in or near the kitchen. If you already have smoke alarms throughout your home, make sure to check the batteries. In case there a fire does occur, it’s important to have a fire extinguisher by your side. Make sure you are familiar with how the extinguisher works. 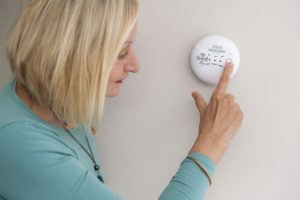 Avoid toxic air by installing a carbon monoxide detector. When you are using propane and natural gas (which many stoves contain), carbon monoxide may build up in your home. The buildup of CO can poison people and animals. 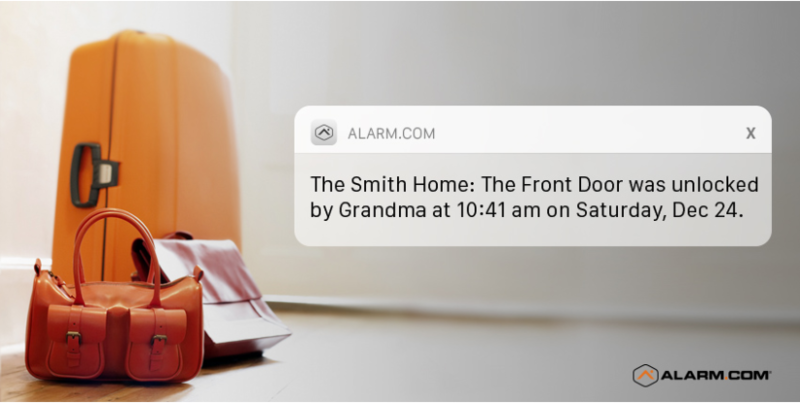 With a home full of family members and food, it’s important to get alerted if you’re at risk. Keep stove clear of flammable items. According to the U.S. Fire Administration, more than 4,000 fires happen each Thanksgiving day! Items that could be considered flammable are wooden utensils, oven mitts, plastic bags, or towels. Don’t post travel plans on social media. Posting your travel plans on social media can attract the wrong attention. Even if you’re privacy settings are on, you still never know who could see your posts and what they’ll do with the information they find. Do not hide spare keys outside. Create a user code. If you are traveling for the holidays, do not hide a spare key outside for a dog walker or home sitter. Installing a keyless entry is the safest way and will allow you to create user codes. 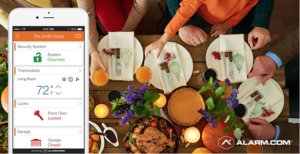 You can even create user codes for family and friends staying in your home if you are hosting this year’s holiday festivities. What is a user code? User codes are a simple numerical code that open your smart lock and can disarm your security system. Once the holiday is over, you can easily delete that user code. If you want to take the steps to protect your home during the holidays, connect with a SFI team member and we’ll set you up.